Hola anime lovers, ready for your daily dosage of anime? So without further ado let’s put on our anime costume. It’s time to look upon some of the best animes from the top anime streaming sites mentioned below without any hassles. Standing high in this category is Amazon Prime. Amazon Prime Video is internet on public demand video service; And is maintained throughout including development and operation by Amazon. 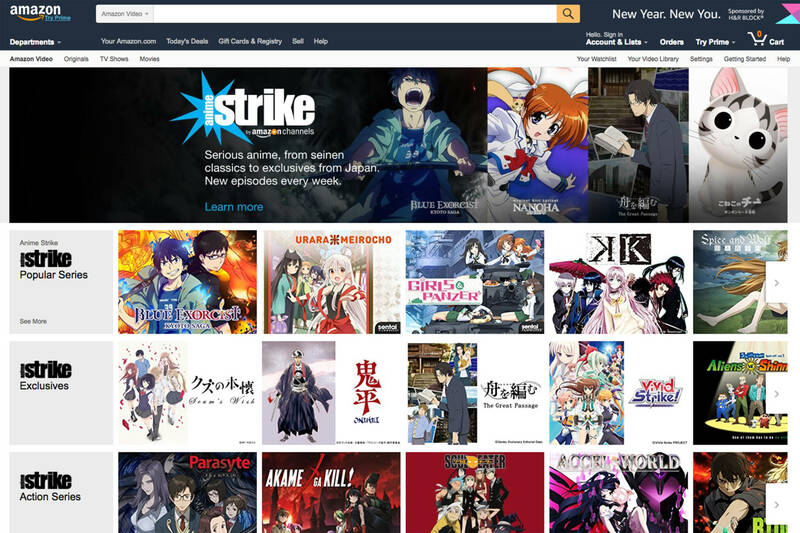 In 2017, Amazon introduced Anime Strike- an anime specialized Amazon Channel service which distributes top-quality anime contents to the users. Various anime like-Death Note, Naruto, Boruto, Attack on the Titans, etc. 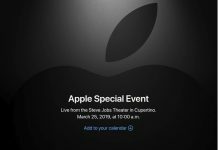 is available for streaming. Amazon Prime has over 150 channels some of which are- Anime Strike, Viewstar, Toonscape. 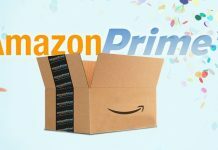 Amazon Prime supports 4K as well as High Dynamic Range streaming to provide the users a whole new level of streaming experience. Amazon Prime Video is available for Amazon’s Fire devices; Android Devices; Blu-ray players; PCs; iDevices; PlayStation; Xbox; Wii; and Wii U. Its vast database distributes 10,000+ anime to the anime freaks. Some of the best anime collection of AnimeFreak.tv includes- Goblin Silver, Pokemon, Rainbow, Hero Mask, Haikyuu, Naruto, Dragon Ball, One-piece, One Punch Man, Queen’s Blade Unlimited and much other popular anime. The anime is well categorized which allows the users to search, stream and download their favorite anime. AnimeFreak offers subbed as well as dubbed anime contents without any hidden subscription fees. The user interface is neat which makes it’s furthermore user-friendly. The database is updated regularly to provide a new dosage of anime contents to the users. AnimeFreak.tv is one of the best anime streaming sites available to the users. AnimeFreak.tv can be streamed on multiple devices- Android Devices; iDevices; PC’s, etc. and HD anime can be streamed and downloaded conveniently. 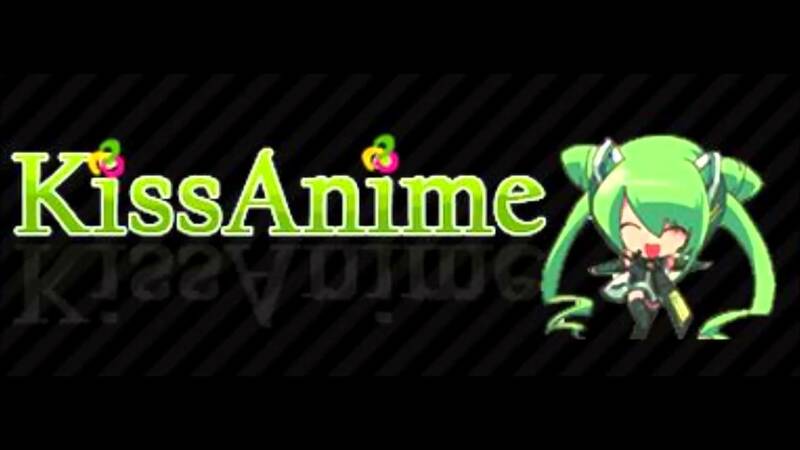 A paradise to the anime lovers, AnimeSeasons offers never-ending anime series to all the anime lovers. The website is very well organized and the interface is pretty neat and user-friendly. Its library is fully loaded with some of the best anime series ever made including- Dragon Ball series, Naruto, Boruto, etc. The homepage has the anime organized into categories like-full series list, highest rated series, new, most popular, etc. which makes searching more comfortable for the users. Get dazzled with the rich anime contents from the endless database of AnimeSeasons. AnimeSeasons is well supported on Android devices, iDevices, PCs, and even Java phones. Coming down in the list of anime streaming sites is another digital giant, Netflix. Netflix has a section featuring only anime series comprising of channels like Nickelodeon, Disney, etc. featuring classic anime series. It features anime series like Aggretsuko, Death Note, Devil Cry Baby, etc. Netflix has partnerships with Marvel Television, Sony Pictures Entertainment, 20TH Century Fox, etc. Netflix is supported on Android Devices; iDevices; Smart TV’s; Blu-Ray Disc players; Xbox; Xbox 360; PS3; PS4; Wii; Wii U; and digital media players. It is one of the best anime streaming sites available for the latest anime series. The homepage is well organized, and the anime series is well assorted according to its genres, release date, rating and such other categories. Masterani.me also has an additional feature at the top of the homepage which displays the schedule of the anime shows. All these features make Masterani.me a popular selection among anime lovers. With decent download speed and rich quality contents, Masterani.me is a portal to a fabulous anime experience and undoubtedly one of the best anime streaming sites and downloading site available. Crunchyroll is a publisher company whose primary purpose is to provide the users a user-friendly platform for video streaming which includes anime, manga, drama, etc. At present, Crunchyroll provides quality programs to 45+ million online community members around the globe, with 2+ million paid customers. Crunchyroll provides over 900 anime shows, over 200 Asian dramas and over 50 manga titles. It also features the release of few selected anime on Blu Ray/DVD with the help of its distribution partners Funimation (US) and Anime Limited (UK). Crunchyroll hosts annual Anime rewards to award anime from previous sessions. For this an exclusive judges list is created, and a public poll is conducted to announce winners. Crunchyroll can be streamed on Windows Phone/Devices (With operating system 7.5 or higher); Boxee; Roku devices; PS3; PS Vita; Wii U; Xbox One; Xbox 360; Vizio; Google, and internet supported TV as well as for iOS and Android devices. It is also among the best anime streaming sites of all times. Go Go Anime is free from any geographical restrictions and is available throughout the world. The website is very neatly organized with loads of popular anime and manga series like Fairy Tail, Dragon Ball, Naruto, One Piece, radiant, Goblin Slayer, etc. The homepage categorizes the anime according to its date of release, genre, popularity, and rating. The users can stream and download anime in HD formats without paying a single penny. Go Go anime is easily accessed on Android Devices; iDevices; PC ’s; as well as through their Android Application. A proud member of the anime streaming sites is KissAnime. KissAnime allows users to access its vast library overloaded with tonnes of anime and manga series, TV shows as well as Cartoons. The homepage has complete details about the anime. All the anime series are well organized into categories like Date of Release, Popular Uploads, Genres, Recent Uploads, etc. KissAnime offers both subbed as well as dubbed anime series with a wide variety of video resolutions to choose from. The users can conveniently download their favorite anime series after signing into their website. It is the fan-first anime streaming sites that is the thread that binds anime, sci-fi, tech, cartoons; Altogether to provide a delightful and rich experience to the U.S streamers. VRV offers quality anime, Manga, dram, as well as videos on public demand. It has a partnership with several sites including-Rooster Teeth, Nerdist, Geek & Sundry, etc. VRV also has its channel- VRV Select Channel. It features quality content from various other sources including- RiffTrax, Machinima, Seeso, Adam Savage’s Teeth and Shout Factory. VRV with its huge partners offers fresh videos which are truly irresistible. The streamers can access VRB via its official website as well as through apps for iOS- iDevices; Android; tvOS; Apple TV (4TH generation and 4K); Chromecast; Roku streaming devices; Fire TV; PS4; Xbox One. This website features perfectly organized content into different categories like Release Date, Highest Rated Anime Series, Recent Uploads, etc. The website delivers some of the best anime series, popular among anime lovers such as Tokyo Ghoul, Radiant, Naruto, etc. One of the prime features of this website is its incredible update frequency of anime series. The website delivers about 10X faster downloading speed than most other websites, making it a popular choice among the anime lovers. Hulu is an over-the-top media services and videos on public demand. It features television series, shows and other foreign contents. Currently, Hulu has 23+ million users including 1 million in the Live TV section. Hulu provides monthly subscription under the name Hulu Plus which offers its subscribers a wider array of viewing choices. Hulu Plus also features best anime of all times some of which are- My Hero Academia, Hunter x Hunter, Toradora, etc. Funimation provides full episodes of series on Hulu; Veoh; YouTube; Netflix; PlayStation Network Video Store; Xbox Live as well as through their app for PlayStation 4. Hidive is the 24/7 entertainment channel specially made, based upon the needs of the anime lovers. The platform distributes selected titles from Sentai and Section23; which includes the English dubbed anime with subtitles in Spanish and Portuguese also. Hidive offers HD quality videos with smooth playback speed. It offers a user-friendly layout and a decent social interaction corner. Hidive has a rich library consisting different anime some of which are- Boruto: Next generation Naruto, Boarding School Juliet, Banana Fish, etc. It offers free and paid services. Hidive is available for Android Devices, iDevices, PS4, Xbox One and Xbox 360.
for Animekaizoku the site is just amazing. Nope no need for both of these just get jdownloader and you’ll be good.